The Illinois High School Association began conducting a girls swimming and diving state series in 1976. It wasn't until 2009 that an entry from the Tri-County Area won a championship. Peoria Notre Dame junior Becky Stoughton engineered the breakthrough, winning the 200-yard freestyle in I minute, 50.01 seconds after placing 11th in the 200 free as a freshman and 10th as a sophomore. Six events later, the Peoria Area Water Wizards product added the 500 free title. Stoughton finished in 4:52.40 after qualifying the day before in a career-best 4:48.18. 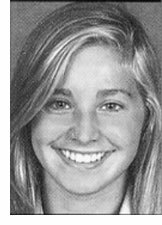 Senior Olivia Scott of team champion Rosary in Aurora was the only other swimmer in the 2009 state finals to win two individual events.